CG: So that, that would tell you that the body was face down when the livor was fixed. CG: Okay. Because that would mean the blood would pool on the front of the body . CG: And that wouldn’t happen if the body post-death were on its side. Of course, there’s a problem here. If the body were buried on its right side sometime during the 7:00pm hour, this would preclude the anterior lividity described by Dr. Korell, which means that Jay’s story is dramatically and provably false with respect to the events of January 13, 1999. Although the 7:00pm burial story would be disproven if looking solely at the autopsy report, two critical questions remained about the report’s validity. First, was Dr. Korell correct about the anterior lividity? The autopsy photographs were in black and white, which is far from ideal, but multiple forensic pathologists were able to conclude, after reviewing the photographs and autopsy report together, that Dr. Korell was correct in finding anterior lividity. All found that the lividity was anterior and even on both sides, meaning that the body was laid out flat, not leaned to one side or the other, at the time lividity fixed. Second, was Dr. Korell correct that the body had been buried on its right side? The autopsy report concluded that it was, but because the State had never permitted the defense to obtain copies of the crime scene photos, we could not independently confirm this. However, there is no reason to think that this part of the report was in error. The autopsy was performed by two pathologists: Dr. Korell and Dr. Aquino. As one of the pathologists conducting the autopsy had personally observed the body at the Leakin Park crime scene, he was able to personally assess and report the positioning of the body. His conclusion that the “[t]he body was on her right side” was based on his own observations, not second-hand information from investigators. But did Dr. Aquino somehow make a huge blunder in his autopsy report, writing that Hae had been found on her right side, when really she had been laid out on her front? In theory, this question should have been trivial to answer. In theory, there should have been crime scene photographs, body diagrams, and reports by crime scene technicians and the forensic anthropologists who performed the excavation, which would have described in detail the positioning of the body and other key facts about the crime scene. In theory, these basic facts should have been part of the record from Day One of the investigation. In practice, however, there was nothing. No diagrams, no notes, no photos. Aside from the autopsy report, the position in which Hae’s body was found was a black hole as far as the case files for both the police and the defense were concerned. It was not until nine months after the incongruent findings in the lividity had first been noticed that the crime scene photographs were finally obtained by MSNBC, in connection with The Docket’s latest Serial special. Before explaining what the photographs show, however, let’s review the failures that resulted in a situation in which the defense was denied access to any evidence concerning how Hae had been positioned at the burial site, and why it has taken so long to get conclusive answers to what should have been some of the most basic facts about the case. Located either 127′ or 114′ north of N. Franklintown Road (depending on which map you’re using). This brief, triple-hearsay memo was the only report ever provided to the defense concerning the forensic findings at the crime scene. It is a prosecutor’s summary of another prosecutor’s notes of a conversation that she had with the forensic anthropologist five months previously. This document exists because in February 1999, prosecutor Vicki Wash spoke to Dr. Rodriguez, and she took notes of what he said. In July, prosecutor Kathleen Murphy wrote a summary of Wash’s notes, and then gave that to the defense. 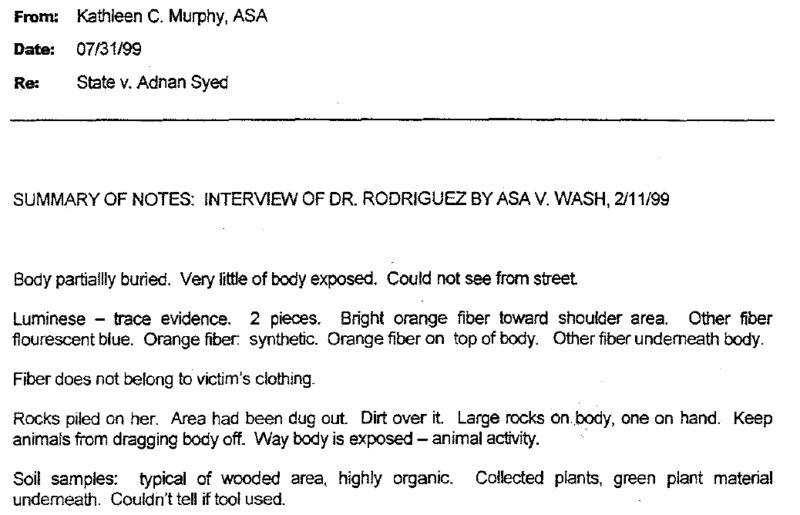 So whatever Dr. Rodriguez found in his examination of the crime scene, his analysis was filtered through two different prosecutors before Adnan’s attorneys ever got a chance to see it. There is no way to know if Wash’s note were accurate and included everything of importance, and no way to know what Murphy’s “summary” of those notes left out. As a result, we have no idea if the oddities in this short report are truly things Dr. Rodriguez said, or if they are merely the result of a mistaken transcription by either Wash or Murphy in their various iterations of the report. Green plant material underneath — does plant material remain green if buried underground for a month? Orange fiber found on body, blue fiber found beneath body — but wait, why did the trace analysis unit conclude that there was a red fiber, a colorless fiber, and a pink-orange fiber found on the body? Is Rodriguez’s orange fiber near the shoulder Van Gelder’s red fiber near the head, or was it Van Gelder’s pink-orange fiber from a root? And what about the blue fiber, should we just assume it’s the colorless fiber that testing was done on? And that’s it. Nothing whatsoever concerning whether the body was on its side, back, or front. Almost nothing concerning how it was buried. And inconsistent information concerning even the location of where the body was found. Any and all sketches, diagrams, and photographs of the crime scene, to include the victim as welI as any evidence collected. 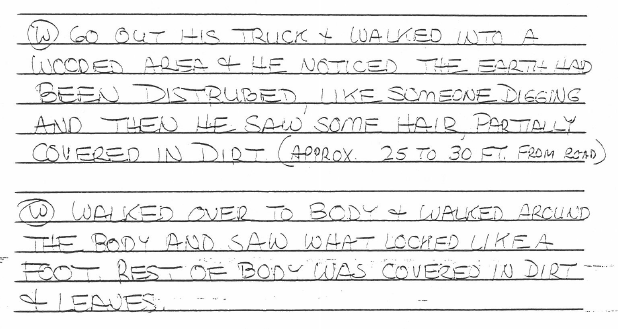 A legible crime scene log. The log provided was cut-off. All police reports, only incomplete reports were provided. A copy of Det. Bradshaw’s follow-up investigation report. The report in the materials provided is cut-off. A copy of any report or documents prepared by Dr. Rodriguez, the forensic scientist at the crime scene. Autopsy photographs. The photocopies provided are not legible. 16. The Medical Examiner’s log with any and all notes made by any personnel concerning the collection of the body. In addition to the materials that were simply not produced at all, crime scene logs and reports were only partially produced, and the quality of the autopsy photos was so horrible that they showed nothing beyond a rough outline of the body. In other words, information concerning the burial site had simply never been recorded by anyone. The prosecution’s position was that no one had, at any time, made any diagrams or took any notes of how the body was found at the burial site. Dr. Rodriguez and his team, who had been specially brought in from the Armed Forces Institute of Pathology in Washington, D.C., in order to assist the BPD with the recovery of the body, had failed to document any aspects of the crime scene. It is worth noting that this is absolutely insane. No investigation should ever, under any circumstances, be conducted this way. There are two possibilities here: either the prosecution falsely represented to the defense (and to the court) that no such documents existed, or else Dr. Rodriguez and his team neglected the most basic aspects of a proper forensic investigation and failed to document any of their activities. See, e.g., Hutchins v. State, 339 Md. 466, 475, 663 A.2d 1281, 1286 (1995) (“The State [ ] ha[s] an obligation to disclose [ ] any written reports or statements and the substance of any oral reports and conclusions of [any ‘experts consulted by the State’] regardless of whether or not the State expected to call [those experts] to the stand to testify.”). Nothing else was ever produced about the crime scene. No diagrams, no analysis, no notes, no reports. 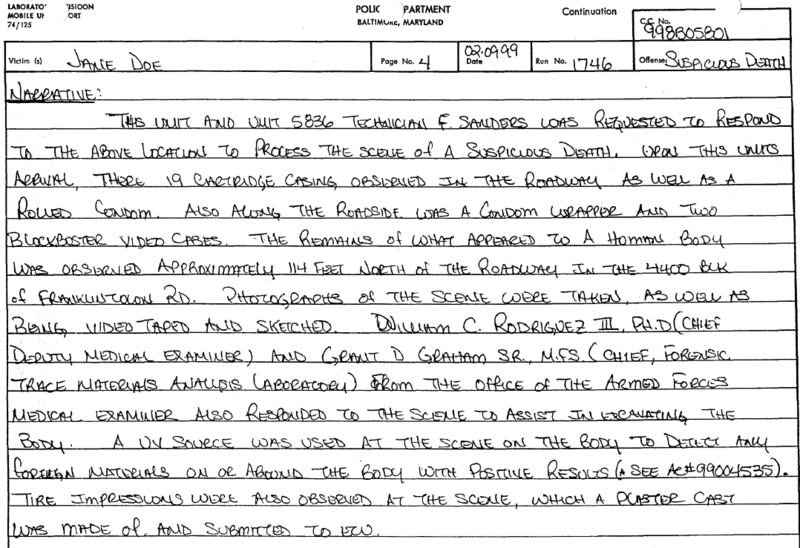 According to the prosecution, Dr. Rodriguez was brought in from Washington to conduct a forensic recovery that BPD was unequipped to handle, but failed to write down a single thing concerning his work. Without any documentation of the crime scene, the only remaining way to determine how the body was positioned is through the crime scene photographs. That catch was that the defense did not have any crime scene photos; Urick had refused to ever provide copies, and instead only permitted the defense to briefly view the photographs prior to trial. But it didn’t work. Other than the brief two-hour viewing that Urick permitted prior to trial, and during the trial itself, the defense never had access to these photos. 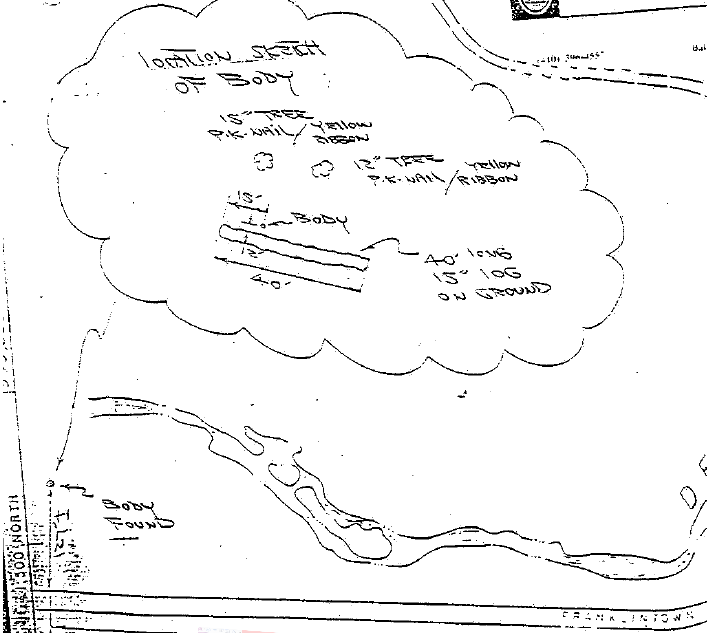 However, at trial, the prosecution introduced into evidence a series of eight photographs of the burial site, which Dr. Rodriguez described in his testimony. These photographs were acquired from the court last month, and, finally, we were able to definitively confirm what we have known for months: the lividity findings combined with the burial position preclude the possibility of a 7:00pm burial. These photos were shown to Dr. Hlavaty, who was interviewed in Episode 5 of Undisclosed. 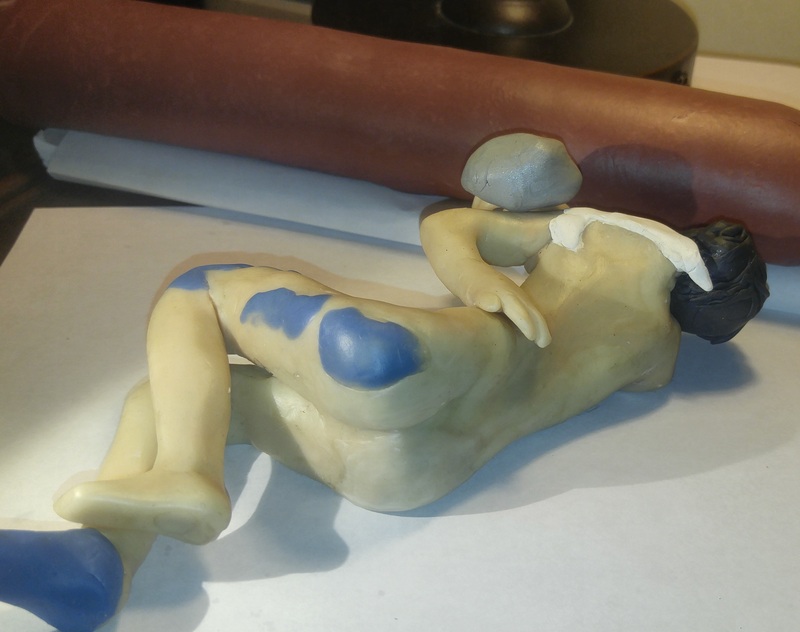 After reviewing the newly obtained images, she was able to confirm that the body was positioned on its right side. Because the photos were in color, she was also able to confirm, once and for all, the presence of lividity on the anterior surface of the torso. In addition to the lividity findings, though, it is worth noting that these findings are also highly significant in terms of what they show about the crime scene. In particular, the body was not at all concealed to the degree that I had expected, based on the trial testimony and police reports that I have been reviewing since Serial ended. The majority of the body is above the level of the forest floor, and is concealed primarily by a pile of loose soil and dead leaves that have been thrown into a pile on top of it. Much more of the body was exposed than I had expected, as well. My reaction to the photographs was, in fact, much the same as Mr. S’s reaction was to the crime scene. The first thing you notice is that the earth has been disturbed; it is blatant and would be hard to miss. A pile of leaves and dirt have been thrown into a pile, and the forest floor surrounding the pile is bare dirt, as if someone had scooped up all the leaves in arms’ reach to add to the pile. After looking at the dirt and leaf pile, the most striking features are the glossy black hair, and below that the white of Hae’s jacket collar, as well as the completely exposed foot sticking out from the pile of leaves. Large portions of the left knee and hip are also exposed, although the color and texture of the taupe stockings allow those portions to blend in better with the surrounding brown and tan leaves. The photographs also provide confirmation that Hae’s body was laid out frontally after death because of what they show concerning the pressure marks. Lividity causes discoloration in the areas of the body where the blood has settled due to the effect of gravity, but in addition to the areas of discoloration this process also leaves pressure marks that appear as white patches on the skin. Pressure causes compression of the blood vessels, which results in blood being unable to settle in those areas, and therefore no discoloration occurs, even in a location that is otherwise the lowest area of the body. The areas marked in white are pressure marks with unambiguous and distinct borders. The areas marked in beige are approximate representations of the pressure marks, but their shape is less clear from photos; the beige should be interpreted to show location and general shape, rather than exact appearance. The two diamonds on the right shoulder are 2″ apart from point to point, and 1″ apart from the fattest part of the diamonds. There is also a divot in the center of the rightmost diamond. Its placement makes it appear artificial, as if it were part of the construction of the item. This is especially so when combined with how symmetrical and straight the edges are; whatever it is, I do not think it’s organic. There is no way to determine if this pressure mark was due to contact with an object in that shape, or if, for example, the object was bar-shaped and the double-diamond pattern is simply a result of greater pressure against the clavicle and shoulder and lesser pressure in-between. 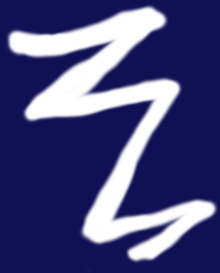 The other two marks (one other on the right shoulder, closer to the neck, and a third one on the far left shoulder) do appear roughly similar in shape and size, but their shape is not as distinct as is the one on the far right, as the borders are not as defined and they are not as clearly depicted in available photographs. Dr. Hlavaty could not identify a possible source based on the marks, but she did confirm that they were pressure points that demonstrated anterior lividity. Although others have suggested that the marks may be caused by bra straps, the pressure marks do not line up with how the bra was on the body, and do not seem to be consistent with pressure marks that would have been caused by that. Whatever their source may be, there was nothing found at the Leakin Park crime scene that could account for the existence of these marks, and the body’s position did not cause these areas to be exposed to any greater pressure than the surrounding areas were subjected to. This pressure mark falls at the same level as the waist of Hae’s pantyhose, which had been twisted about; the pressure mark resulted from the constriction of the pantyhose where the waist had bunched due to twisting. The location of this mark is significant in that it confirms that, when lividity fixed, the lower left side of the body’s abdomen was flat against whatever surface the body was resting on, causing blood to pool there. If lividity had fixed while the body was in the position in which it was found, no lividity could have developed in the lower left anterior of the torso. For obvious reasons, we will not make copies of the photographs available to the public, and it is my very deep hope that no one else takes it upon themselves to publish them. Hae’s family doesn’t deserve that, and there is no excuse for such an action. However, the information contained in the photographs is important for Adnan’s case, and a subject of legitimate interest. In order to provide access to this information, while not making sensitive and potentially upsetting photographs available to the public, I have created a model to show the positioning of Hae’s body at the crime scene, as well as the portions of the body that were exposed when it was discovered by Mr. S.
I have taken every effort to make the model as faithful to the photographs as possible, so that when viewed from the same angle the model’s position matches the positioning shown in the photographs. A few caveats are in order, however: (1) In order to show the visible collar, the area of the neck has been obscured; (2) the positioning of the left hand is not shown in the photographs, and could either be palm up or palm down; it is depicted here as palm down; and (3) although all of the hair is depicted in the model, only the top portion of it was actually exposed as the crime scene was initially found; the lower portions were not visible until later stages of excavation. Also note that currently displayed images have been updated slightly from their original depiction when this was first posted. Areas of the model marked in blue show the portions of the body that were exposed to the air, and which were visible in photographs prior to any recovery work had been done: the right foot, the left knee, the left hip, a portion of the right wrist and hand, the collar of Hae’s jacket, and the back of her hair. Orange has been used to mark two of the more prominent pressure marks that would be visible based on the positioning of the model: one on the left shoulder, and one on the left lower torso. The marks on the right shoulder would have been obscured. Not all of the body was placed below ground; some portions of the body rested on soil at the same level as all of the surrounding forest floor. However, a portion of the body — primarily the torso — rested in a recessed area. In order to depict these conditions, I have used wires to hold the clay up, although in the photographs, these limbs are supported by the soil at the edges of the recessed areas, or by the forest floor itself. This shallow depression was longer than it was wide, and only large enough to fit parts of the torso. The right knee is resting directly on the forest floor; the exposed areas, mark in blue, show where dirt and leaves had fallen off the sides of her leg, exposing all of it to air except for the lowest inch or so, which is obscured by leaf litter. The left hip is similarly exposed, with the sides uncovered by dirt and leaves due to the effects of gravity, although debris often remained directly on top of the body part. The right foot was entirely exposed and jutted at an angle into the air. The left arm was covered in leaves and not visible; although it was the highest part of the body, the leaves and soil were piled deepest over that area. The right elbow was the lowest part of the body, but is bent sharply so that the hand reaches upwards towards the surface. 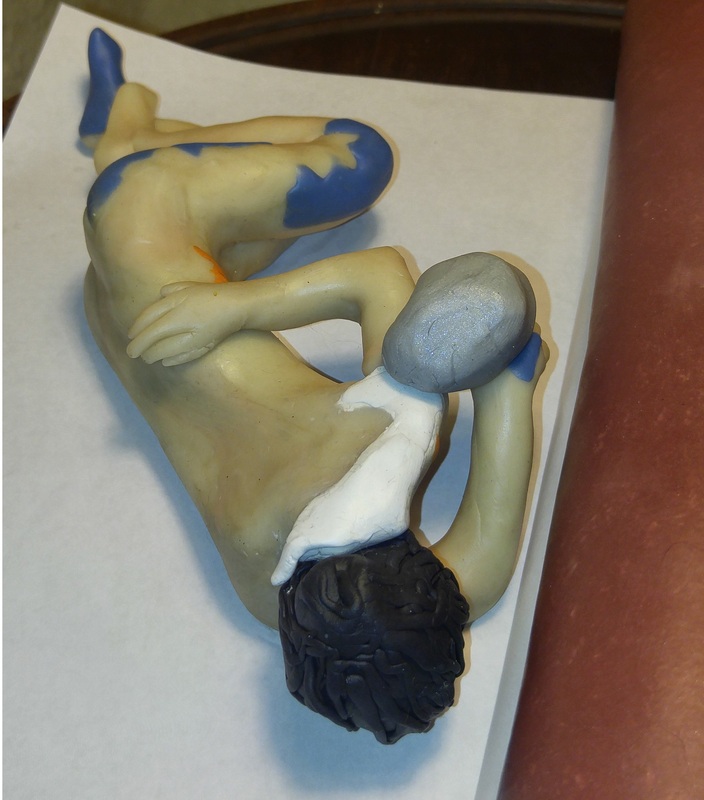 There was only a single rock placed on any part of the body, and that is the rock referenced in Dr. Rodriguez’s report that was placed on top of the hand. The positioning of the right hand, which indicates that it may have been in rigor at the time of the burial, makes me suspect that the rock was placed in order to hold the hand down, as otherwise rigor would have caused it to stick up well above the forest floor. With the rock on it, only a sliver of the back of the hand, where it meets the wrist, is exposed. 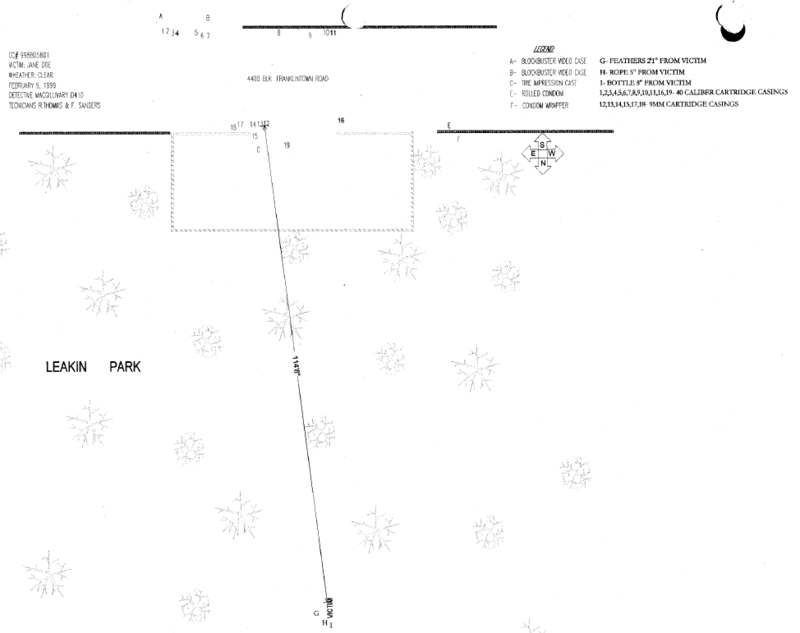 Based on the crime scene photographs, there is no possibility that Hae was buried in Leakin Park prior to the fixation of lividity. This puts the earliest estimates of her burial at no sooner than 8-12 hours after death, and quite possibly longer. This means that, if Hae was killed shortly after leaving school, the burial could not have taken place before approximately 10pm. As a preface, I want to be very clear: this post is not about Don. Rather, it is about the the State’s investigation of Don, and the failure thereof. Nothing herein is evidence that Don was involved in Hae’s murder, because the fact that an alibi went unverified does not mean that that the alibi was untrue. As a result, while there is no reason to believe Don was not at the Hunt Valley store on January 13, 1999, the flipside is that the police did not have reliable evidence from which they could conclude Don was at the store that day, either. Don was not involved in Hae’s murder. 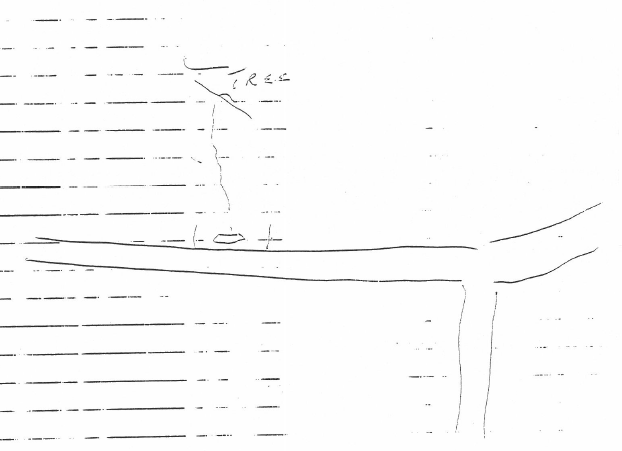 Although there was evidence that, at the time of the original investigation, should have caused the police to take a special interest in Don — e.g., Debbie’s statements to the police about Hae’s plans, and the note found in Hae’s car — it appears now that the evidence did not actually suggest that Hae was on her way to see Don at the time of her disappearance. Back in 1999, however, the police did think that — and their failure to investigate Don as they should have is probably a big part of the reason why all the uncertainty about the wrestling match never got sorted out at the time of trial. Don and Adnan should have been of equal interest to investigators. Both had recently been in romantic relationships with Hae, and both should have had their alibis vetted. Don and Adnan were not treated similarly by investigators, however. While Adnan was the focus of extensive investigation by both the Baltimore County and the Baltimore City Police, the investigation into Don was at best cursory (and, in the case of the Baltimore City Police, nonexistent). Although the police alleged that Don had been excluded as a suspect due to a confirmed alibi, this can only be said to have been “confirmed” under the loosest possible interpretation of that word. Don’s alibi was that he had been at work on the day of Hae’s murder. Although he usually worked at the LensCrafters in Owings Mills, Don said that on January 13, 1999 he was working at a different store, in Hunt Valley. However, the police did not speak to a single person from the Hunt Valley store, nor did they obtain any employment records that could confirm his alibi. Instead, the police asked a single employee from the Owings Mills Mall location whether Don had worked at Hunt Valley that day, and although she stated that he had, her source for that information may have been Don himself. Nothing more was done to investigate Don’s alibi until September 1999, when Adnan’s defense attorney filed a subpoena under seal requesting that LensCrafters produce all employment records for Don from the relevant time period. On October 4, 1999, LensCrafters produced records that showed Don had not worked on January 13, 1999. Thereafter, Prosecutor Kevin Urick had a phone conversation with the LensCrafters legal department. Although the defense’s ex parte subpoena had been filed under seal, he somehow learned of it and obtained his own copies of the documents that LensCrafters had produced to the defense. Two days later, following Urick’s phone conversation with the LensCrafters legal department, LensCrafters suddenly found an “additional time keeping record” that showed Don had, in fact, worked on January 13th. However, in a separate cover letter issued directly to Urick (and which LensCrafters did not include in its production to Gutierrez), LensCrafters went out of its way to notify Urick that the “General Manager on 1/13/99” was “also Donald’s mother” (emphasis in original). Moreover, a review of the newly-discovered timecard shows that there are several oddities that call its authenticity into question. The following post is a collection of a few points of interest that I’ve mentioned elsewhere, in other forums, but have not yet addressed on my blog. In order to make everything available in a central location, I’ve expanded on those topics below, with links to source material. The 5:13 p.m. call does not show up on Adnan’s phone bill, or on the cellphone records obtained by the prosecution, so there is no way to know if it was an incoming or outgoing call, or who might have been on the other line. The 5:13 p.m. call does, however, provide a more detailed context for the 5:14 p.m. call, which was an incoming call to voicemail. Adnan’s cellphone received or made a call at 5:13 p.m. that was subsequently dropped due to poor reception, and then (presumably) the person who had been on the other end of the line tried to call back at 5:14 p.m., but was sent to voicemail instead, as the phone did not have reception at that time. The tower from which this call was dropped was L651A, which covers Woodlawn and the area around Woodlawn High School. The previous call, at 4:58 p.m., had originated on L654C, which roughly covers the area of Jay’s mother’s house — however, as an incoming call, that could also be an artifact of the unreliability of location data for incoming calls, making it uncertain where the phone had been before. These records indicate that the 4:58 p.m. call was likely from Adnan asking Jay to pick him up at 5:30 p.m., which was the typical time that track practice ended. After receiving the call, Jay (along with the cellphone) then migrated up towards Woodlawn to pick Adnan up, so that, at 5:13 p.m., the phone was in the area covered by L651A. 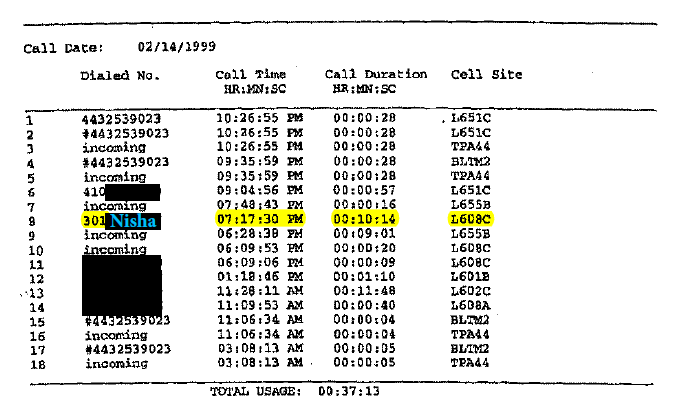 The real Nisha Call was not the 3:32 p.m. call on January 13th, but a call that occurred at 7:17 p.m. on February 14th. That call — unlike the call made to Nisha on January 13th — is consistent with the cellphone records, with Nisha’s testimony concerning the nature of the phone call, and with Jay’s work records. According to Serial folklore, the reason Adnan became a suspect in Hae’s murder was all due to an anonymous call made the day after Hae’s murder was announced in the media. On February 12, 1999, at 3:19 p.m., Detective Massey received a phone call from an “Asian Male 18-21 years old[ ] who advised investigators should concentrate on the victim’s boyfriend.” It was only after this phone call that the police began to zero in on Adnan as a suspect. Or so the story goes. The police files, however, tell a different story. They indicate that Adnan was already a suspect before the anonymous call ever came in. In fact, the police files indicate that Adnan was the only suspect that was ever considered. As of February 11th, the police already seem to have decided that Adnan was responsible for Hae’s murder. The earliest indication that the police were investigating Adnan comes from a one-page printout of a motor vehicle database search. The search had pulled up registration details for Adnan’s Honda Accord, and the time stamp and terminal ID on the printout show that it was generated on a a computer in the Woodlawn police station on February 11, 1999, a little after 8:00 pm. a [young black male] driving a light colored automobile while in Leakin Park . . . acting suspicious near the concrete barriers blocking southbound traffic onto Weatheredsville Road from Windsor Mill Road, which is approximately a mile from the site of the victim’s recovery. Lehmann’s report then summarily concluded that “investigators believe that this observance is not connected to the murder of Hae Lee.” However, Lehmann provided no indication whatsoever as to why the investigators believed that Mr. A’s report was not connected to Hae’s murder. Lehmann’s summary report also omits a number of crucial details about the interview with Mr. A, including (1) the date and time that Mr. A had seen this “suspicious” activity, (2) what the suspicious activity consisted of, and why exactly it had struck him as suspicious, or (3) why he thought that this event might have been connected to Hae’s murder. As a result, the report itself provides no basis from which Mr. A’s story can be discredited, or from which it can be concluded that it is irrelevant to Hae’s murder. Based on the timing of his report, Mr. A probably went to the police station immediately after learning that Hae’s body had been found in Leakin Park. Although Hae’s body had been found on Tuesday, February 9th, it was not reported until the evening of Thursday, February 11th, when the story was covered in the evening news (such as in the media segment shown here). The timing of Mr. A’s report would therefore suggest that he had high level of confidence in the importance of what he had seen. After seeing a TV segment on a body being found in Leakin Park, he remembered the incident that he had observed, and — without delay — he immediately drove down to the police station to report what he had seen. Google Street View of “southbound [ ] onto Weatheredsville Road from Windsor Mill Road.” Note that the concrete barriers referenced in Mr. A’s report were subsequently replaced with the yellow gate shown in this image. If the location of the activity can’t explain why the police rejected Mr. A’s witness report, then perhaps instead it was the date on which Mr. A observed the activity that caused the police to dismiss his story. But if so, why would Sergeant Lehmann not have included that detail in his report? Besides, at this point, the police had no idea if Hae’s body had been the park for one week or four — if Mr. A had observed this any time between January 13th and February 8th, then it could have been related to the murder, and should have at least been investigated further before being dismissed out of hand. So what was it then? Well, Lehmann’s sparse report does include two details from Mr. A’s statement which could explain why investigators rejected his story as irrelevant: Mr. A saw a “black male” who was driving a “light colored” car. If the police had already established that a Pakistani male driving a dark colored car was responsible for the crime, then Mr. A’s report would be irrelevant to the investigation, and could safely be dismissed as an unrelated occurrence. Printout from MVA database, showing that on February 11, 1999 at 8:06 p.m., someone using in the Woodlawn precinct pulled up the vehicle registration records for Adnan’s 87 Honda Accord. 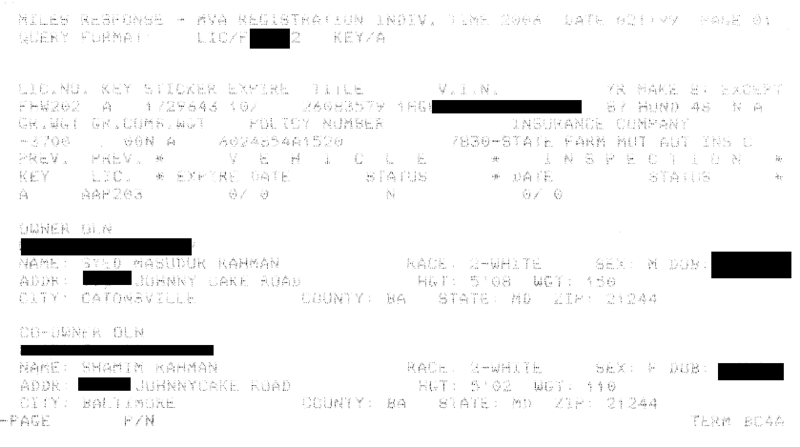 The scan of this document makes it a little hard to read, but the second line provides the VIN for the car — which, with a VIN decoder, the officers could use to look up the color of Adnan’s car. From reviewing the rest of the police files, the time stamp on this printout is further evidence that the search of Adnan’s vehicle records was not something that had been pulled up as a routine matter. Every other printout in Adnan’s case file was made during normal business hours, from 9am to 5pm — so why, then, was a police officer printing out Adnan’s vehicle registration at 8pm on a Thursday evening? This indicates that the printout was generated in response to a particular event, and that an officer had been prompted at that time to look up the information, rather than for the purpose of making routine updates to a case file. An event such as, for example, Mr. A’s walk-in report at the police station. We do not know what time he arrived at the Woodlawn stationhouse, but if his police report was prompted by an early evening news segment about Hae’s body being discovered in Leakin Park, then sometime around 8 p.m. would make sense. Although Lehmann’s report indicates that he and Ritz did not arrive at the Woodlawn station until 9:45 p.m., Mr. A could easily have arrived into the station a couple hours earlier in the evening — particularly if the Baltimore County officers had interviewed Mr. A themselves first before notifying the Homicide Unit. It would have also taken Lehmann and Ritz some time before they could have arrived at the Woodlawn station to interview Mr. A themselves, particularly as Ritz and MacGillivary appear to have been working a day shift at that time, and probably had to be contacted during their off hours to be notified of the witness. Unfortunately for the Detective Ritz, the witness report turned out to be a dud. Mr. A saw a young black guy in a light car, but their suspect was a young Pakistani guy in a brown or black car. Ergo, what Mr. A saw could not have been related to Hae’s murder. Yes, Hae’s car could be described as “light colored” — but at this stage of the investigation, the detectives had never heard of the “trunk pop” story. As later documents indicate, the police seemed to have believed that it was Adnan’s car, not Hae’s car, that had been used to transport the body. (See, i.e., the vehicle processing report for Adnan’s car, noting that “Suspect along with witness used the vehicle to aid in the transport . . . of the victim’s body in the trunk section of auto.”). This would explain, then, the easy dismissal of Mr. A’s account: the investigators didn’t need to hear anything more from him, because what he had seen in Leakin Park had been the wrong car driven by someone of the wrong race. Without knowing what time Mr. A arrived at the station, the connection between the tag printout’s timestamp and Mr. A’s police report cannot be conclusively shown. (Although a records request directed to the Baltimore County policy might go a long way to resolving the question.) Still, regardless of the exact timing, the fact remains that a police officer was investigating the details of Adnan’s car at 8 p.m. on a Thursday, only two days after Hae’s body was found — and why would the officer have done so, if Adnan was not a suspect? But why would Adnan have been a suspect on February 11th, when no anonymous phone call had yet been made implicating him in Hae’s murder? One theory: although unpreserved in the documentary record, a request for Adnan’s cellphone records had already been made, which had alerted investigators to the existence of the two Leakin Park phone calls. According to Serial, the detectives did not subpoena Adnan’s cellphone records until February 18, 1999, over a week after Hae’s body had been found in Leakin Park. This version of events, as told in the podcast, matches the “official” story of the investigation — that is, it matches the story of the investigation that was disclosed to the defense counsel. But the police files produced in response to the 2014 MPIA request show that the first subpoena for cellphone records was not issued on February 18th, as the documents given to defense counsel claimed, but had instead been issued two days previously, on February 16th. Moreover, the files also show that, at the time this first subpoena was issued on February 16th, the police were — inexplicably — already in possession of at least some of Adnan’s cellphone records, despite the absence of any documentation concerning the source of this information. 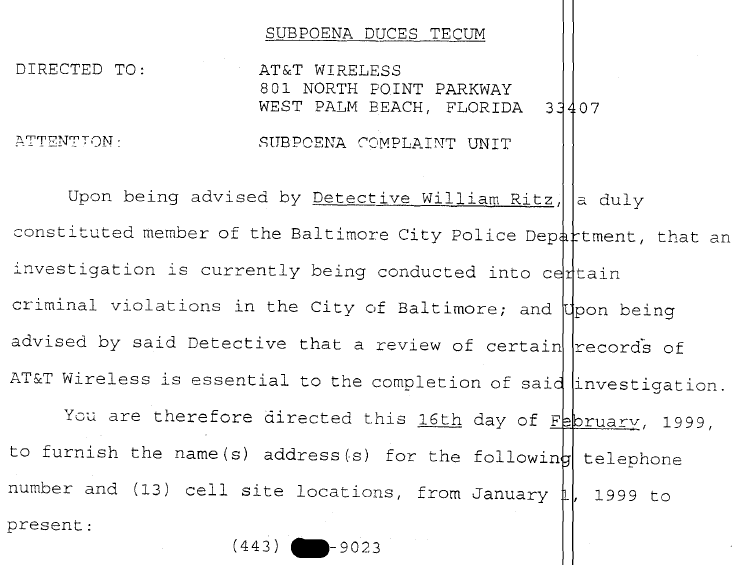 On 18 February 1999, your investigator along with Detective William Ritz obtained a subpoena for the cell phone records of one Adnan Syed telephone # 410-253-9023 from Sgt. Michael Cannon H.l.D.T.F. The subpoena will be delivered on 19 February 1999 to Bell Atlantic Mobile Security, Cockeysville, Maryland. In furtherance of the above captioned investigation, on 20 February 1999 at 1115 hours, this writer faxed a subpoena and court order to AT&T Wireless Communications, located 801 North Point Parkway, West Palm Beach, Florida 33407, (fax# 1-888-938-4715). The court orders request that AT&T Wireless provide this investigator with the cell site locations of calls that were made from telephone number (443) 253-9023 [Adnan’s cellphone number] during the time span of January 1, 1999 to present. This writer also asked that a directory of cell site locations associated with the requested information be provided for proper interpretation. You are therefore directed this 16th day of February, 1999, to furnish the name(s) address(s) for the following telephone number and (13) cell site locations, from January 1999 to present. 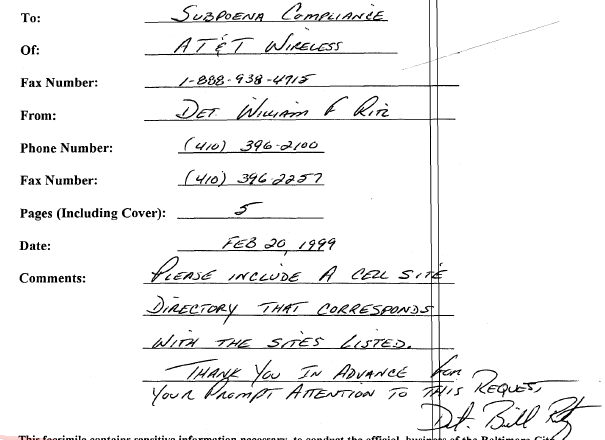 The investigators wanted addresses for “13 cell site locations.” This would indicate that, at the time the 2/16/99 subpoena was issued, the investigators already had information concerning Adnan’s cellphone records, including tower data, because on the day of Hae’s murder, Adnan’s cellphone made calls on 13 separate antennas. But how did the investigators know that on February 16th, when no documentation exists indicating a request had already been made to AT&T at that time, or that AT&T had produced documents in response to such a request? To me, it looks a lot like someone in the Homicide Unit had already made some unofficial requests for cellphone data, and the phone company had obliged, even in lieu of a formal subpoena requesting production of that data. Perhaps it was something done over the phone, or through a contact in another government agency, but — somehow — the investigators seem to have known only about the significance of Adnan’s cellphone location data only few days after Hae’s body had been found. The records in the MPIA files also suggest that investigators made an effort to camouflage the fact that previous requests for cellphone location data had been made. Let’s take a look back at the Progress Reports that were disclosed to defense counsel. In the first one, the 2/18/99 Progress Report, MacGillivary wrote, “On 18 February 1999, your investigator along with Detective William Ritz obtained a subpoena for the cell phone records of one Adnan Syed.” This is not an accurate statement. It also creates the (false) impression that the 2/18/99 subpoena was the first records request submitted by investigators. In fact, not only was the 2/18/99 subpoena not the first request for cellphone records that had been submitted by the investigation, it was not even a request for Adnan’s cellphone records at all! Instead, it was a request for the subscriber information for the people that Adnan’s cellphone had called. 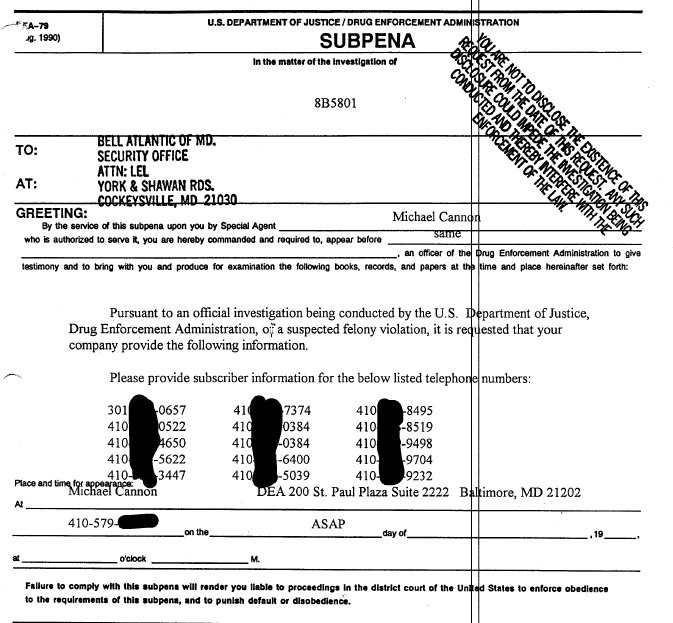 The 2/18/99 subpoena. 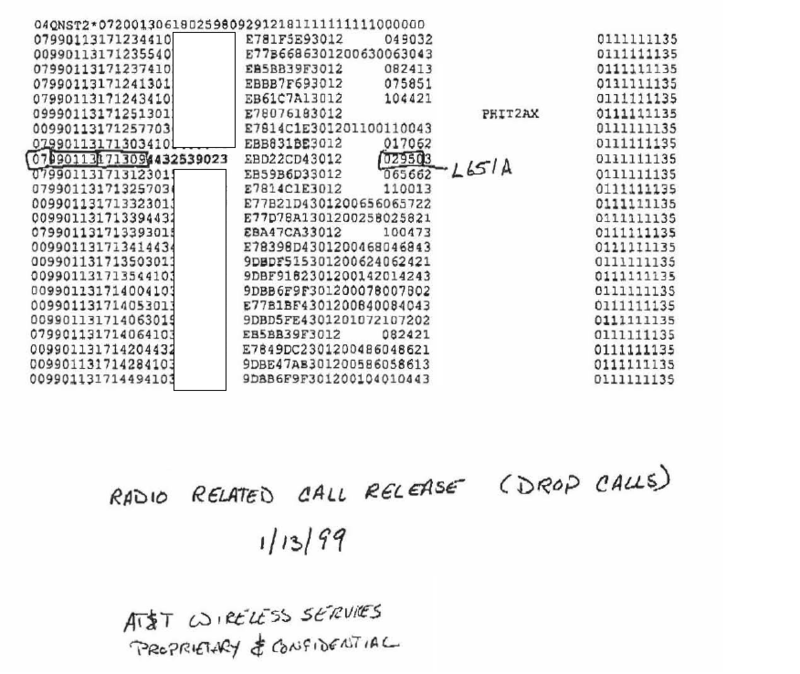 Numbers listed correspond to outgoing calls made by Adnan’s cellphone on January 12 – 14, 1999. 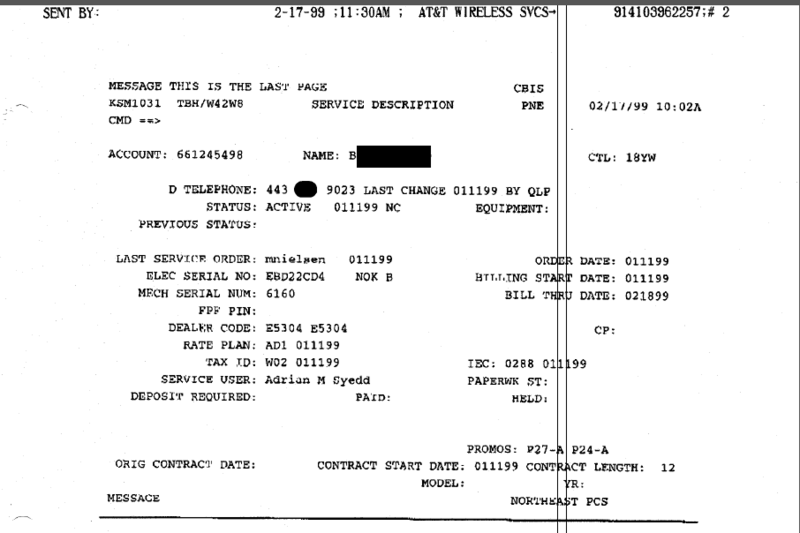 In addition to the subscriber information above, the fax records sent by AT&T on February 17th also included a record of all outgoing and incoming calls made from Adnan’s cellphone from January 11th through February 16th — but as I’ve discussed in a previous post, the location data for those records had been redacted. Now, it is possible that AT&T was responsible for those redactions, because on February 20th, a third subpoena is issued — this time with a court order compelling AT&T’s compliance. (Note: The fax record for the 2/20/99 subpoena show that it was sent at 11:15 a.m. on February 20th, which means this was the same subpoena that MacGillivary references in the 2/20/99 Progress Report.) This suggests that a court order was in fact needed to obtain the location data, and AT&T may have redacted the February 17th records. But here is the problem with that scenario: if AT&T was responsible for the redaction of the starting and ending tower location data in the 2/17/99 records, then why does MacGillivary’s fax cover to the 2/20/99 subpoena indicate that he already possessed the cell site location data? 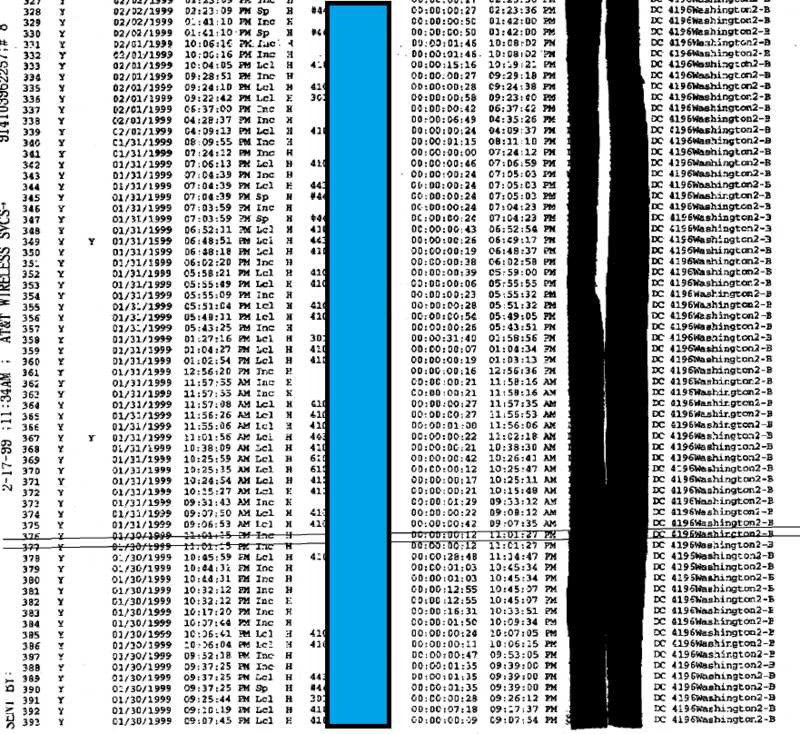 Although the redaction in blue (on the left, redacting phone numbers) was done by me, the redaction in black (on the right, redacting cell sites) was done by hand on a paper copy of the document; no unredacted version exists in the files. Yes, this particular copy of the cell records may have already been redacted when AT&T faxed it over on 2/17/99 — but if so, then where is the unredacted cell site location data that the investigators did have possession of on February 20th, as shown by both MacGillivary’s 2/20/99 fax cover and the 2/16/99 subpoena? Whether or not AT&T redacted this particular document, there should be, somewhere, a document that contains unredacted cell site data for at least some of Adnan’s cellphone records, which pre-dates February 20th. So where is it? This is potentially a Big Deal. If the unredacted version of the 2/17/99 fax from AT&T showed, for instance, that one of the “Leakin Park calls” had originated on a tower miles away from Leakin Park, that would be exculpatory. It would show, at a minimum, that there would be no reason to believe the cellphone was in Leakin Park, as opposed to somewhere closer to another tower the call had connected through. In addition to the subpoenas themselves, there is another piece of evidence that suggests investigators had obtained Adnan’s cellphone records before any documented request for that data had been submitted. That evidence comes from the Maryland court records, which show that Adnan was issued a citation for a traffic violation on February 15, 1999. However, circumstantial evidence from the police files indicates that this traffic stop may in fact have been connected to the murder investigation, and, more specifically, to the investigators’ efforts to obtain his cellphone records. 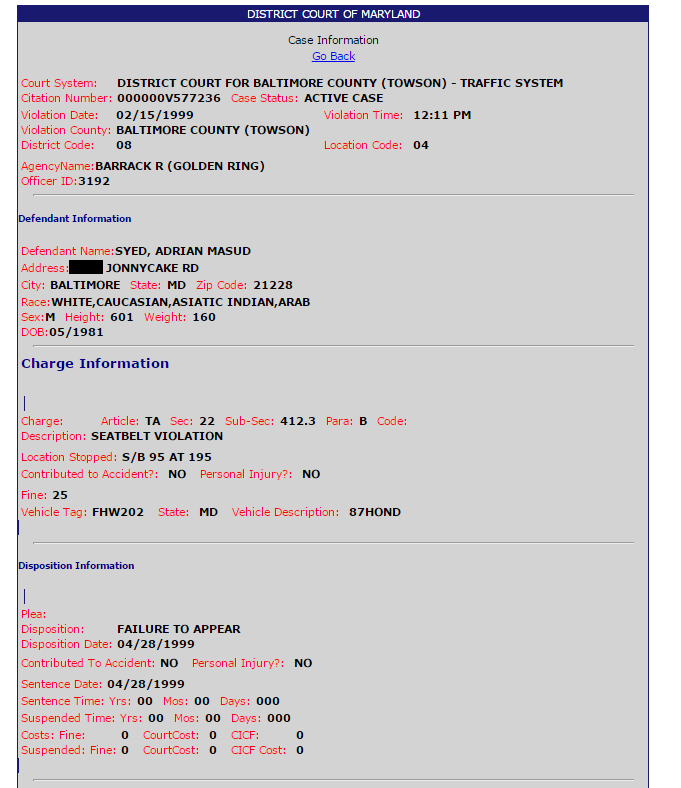 I wouldn’t have questioned whether this routine traffic stop was, in fact, simply a routine traffic stop, if it were not for one glaring error in the record: the police officer who made the traffic stop issued the citation not to “Adnan Syed,” but to “Adrian Syed” instead. Although the license plate indicates that this was in fact Adnan’s car that had been pulled over, both the street address an Adnan’s name are incorrect. The source of the error, in the context of the AT&T billing records, could be a result of AT&T’s billing software mistakenly misreading the first “n” in Adnan as “ri.” (This appears to be a potential problem that could still occur today — if I search my notes for the term ‘Adrian,’ I pull up about a hundred instances in which ‘Adnan’ is typed in a screenclipped image.) The error makes less sense in the context of a traffic citation, but maybe it could happen. What are the odds, though, that when Adnan was pulled over for a traffic violation just two days after becoming a suspect in a murder investigation, the police officer who issued the citation would make the exact same odd spelling error that was made on Adnan’s cellphone records — which the police would (officially) obtain from AT&T two days later, on February 17? Instead of a coincidence, though, it could be an indication of a connection between the cellphone records and the traffic stop. The error in the cellphone records could potentially have been both motivation for the traffic stop, and the cause of the naming error — if, say, the traffic stop was used as a way to confirm Adnan’s possession of the cellphone associated with the records that had been provided by AT&T. If the investigators had somehow obtained Adnan’s cellphone data through the use of “unofficial channels,” then the fact that the subscriber information for those records was not listed under Adnan’s real name would have been the cause of some concern among the investigators. Because the records from AT&T were for someone named “Adrian Syedd,” and not for someone named “Adnan Syed,” the investigators may have needed confirmation that the subscriber data they had obtained did, in fact, belong to the suspect in their murder investigation. But, since this hypothetical cellphone data would not have come from official sources (no subpoenas had been issued yet), how could the investigators have proven that the cellphone records were for Adnan’s phone, without using “official” channels? In other words, how could they unofficially verify the accuracy of their unofficial records? Pulling Adnan over for a traffic stop, and having someone make a call to his cellphone while that officer watched, would be one way of doing that. That would allow investigators to confirm that the cellphone records they had pulled did belong to the cellphone owned by their suspect (instead of by some unknown relative named Adrian). In support of this theory, there was in fact a brief incoming call made to Adnan’s phone at 12:11 p.m. — the same time listed as the time of the traffic citation. If the scenario outlined here is what actually occurred, then the investigators’ testing would appear to have been a successful one, as the following day, on February 16, an official subpoena for Adnan’s cellphone records was issued by the grand jury. The investigators appear to have obtained whatever information they needed to proceed with an official request for Adnan’s cellphone records. The officer who made the traffic stop may have slipped up, however — and rather than writing down the traffic offender’s name as it was shown on his driver’s license, he wrote down the false name displayed on the cellphone records he was attempting to verify. 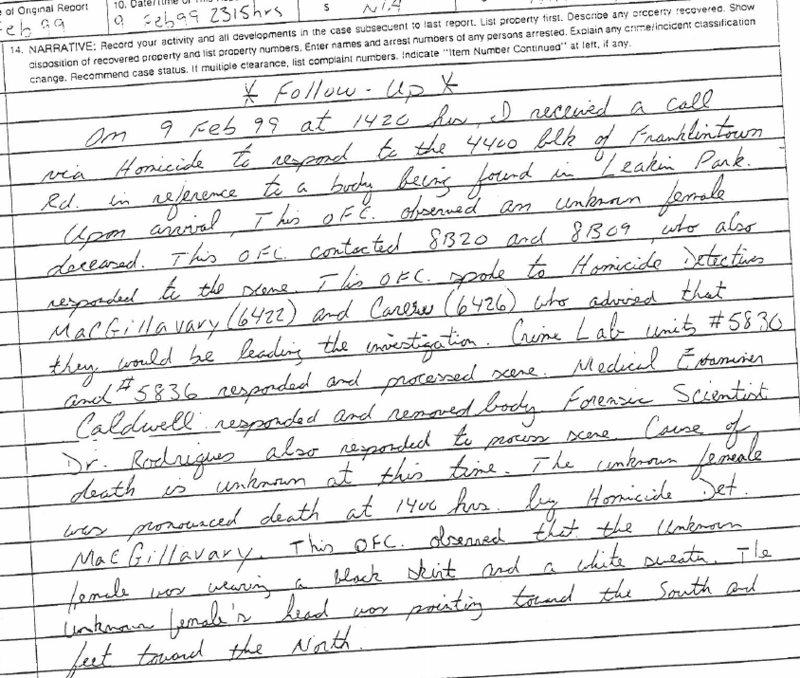 From a review of the subpoenas and cell record data, it looks like: (1) the investigators had cell record data of an undisclosed nature and from an undisclosed source; (2) the investigators had identified Adnan as their suspect before any (disclosed) evidence implicating him in the murder had been uncovered; and (3) MacGillivary had contacts with the Drug Enforcement Administration — an agency that was an early trailblazer in the use of cellphone location data as an investigative tool for law enforcement. There are a few different things this could mean, but the question all of that raises for me is this: could Adnan have been identified as a suspect as a result of a warantless cell tower dump on L689?